Suitable for any fitness level or ability, eGym training at Inspire Fitness offers a safe, effective and personalised workout to help you achieve your own fitness goals faster. We will be in touch with you very soon to arrange an induction and get you started. By sending us your details you're agreeing to us adding you to our mailing list and occasionally sending you information about fitness and nutrition that we think you might find helpful. If you wish to stop receiving these emails you can unsubscribe at any time using the link at the bottom of any email. My journey at Inspire began nearly 2 years ago, I was pushing the wrong side of 45 and although not too overweight and fairly active, I was not at all body confident. Well I have just come back from Mallorca and for the first time in 20 years I put on a bikini (size 10 I add ) and felt great. In fact I never even wore shorts until this year. The mixture of strength training, boot camp, HIIT classes , boxing and workout challenges means I am never bored, then add the food mini challenges and the best bunch of girlies you can ever meet and it makes it so easy. Kay is an absolute inspiration to anyone who wants to lose weight and get fitter. 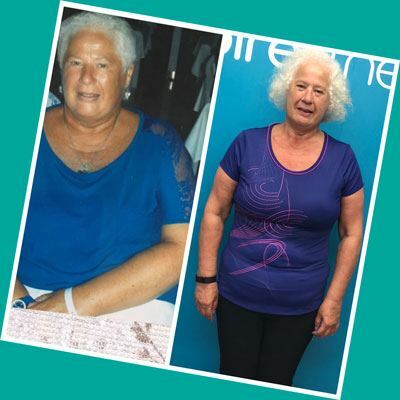 Regular exercise and a love of Zumba helped Kay become the energetic dynamo she knew she really was! 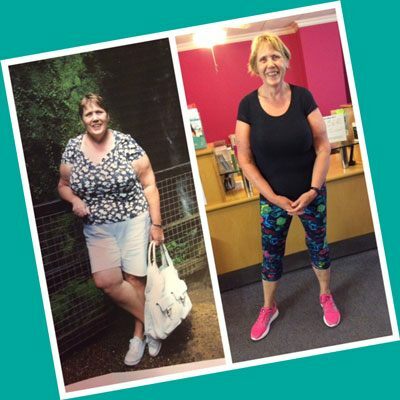 Not so long ago Rosie struggled with exercise... Now she enjoys boxing, kettlebell classes and lots & lots of walking! 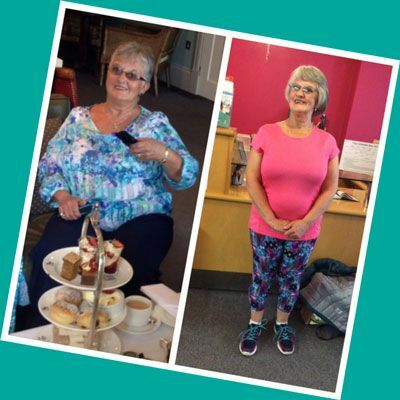 Rosie proves that with commitment and consistency you CAN reach your goals! Janet is awesome proof that increasing the frequency and the intensity of your workouts, together with trying different classes can make a huge difference to the way you look and feel. Our 30 minute workout will help get you fitter and stronger quickly. The half hour workout is easy to fit into a busy schedule and includes all the components needed for a complete exercise programme and if you want to focus on a particular goal then you can choose to follow one of our programme cards or even have some 1 to 1 personal training. Want to lose lbs? Join one of our effective weight management programmes. You'll receive all the accountability and support you need. Our programmes focus on sustainable behaviour change ​and helping you reach your goals. We'll support you and give you the tools to achieve real results. We've helped lots of individuals who face similar pressures and difficulties as you so don't wait another day... start your transformation now! There is so much more to joining Inspire Fitness than feeling fit and losing weight! We want everyone who joins to feel better about themselves everyday. We want you to have a physically better future, not only to live longer but to live well in those extra years. We want you to feel less stressed, more confident, happier, healthier and able to sleep better. Go Sugar Free for 7 days and join us for the perfect "kick-start" to a healthier diet. The programme is completely free of charge and everyone is welcome to join in. Every day you'll receive a new lesson and the opportunity to check in on your progress. You choose whether it's by email or via your smartphone. You can support each other and ask us questions along the way too. Yes I want to be free of added sugars, sign me up!